The most simple of appetizers made delicious. 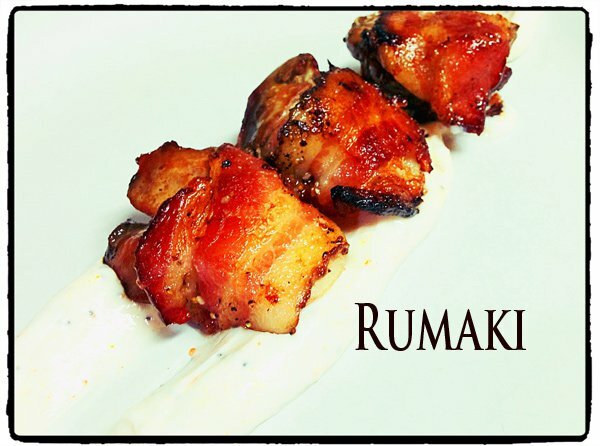 Rumaki or Rumake is an hors-d’oeuvre of mock-Polynesian origin. It was popularly served at Trader Vic’s and other Polynesian restaurants in the 1950s and 1960s. 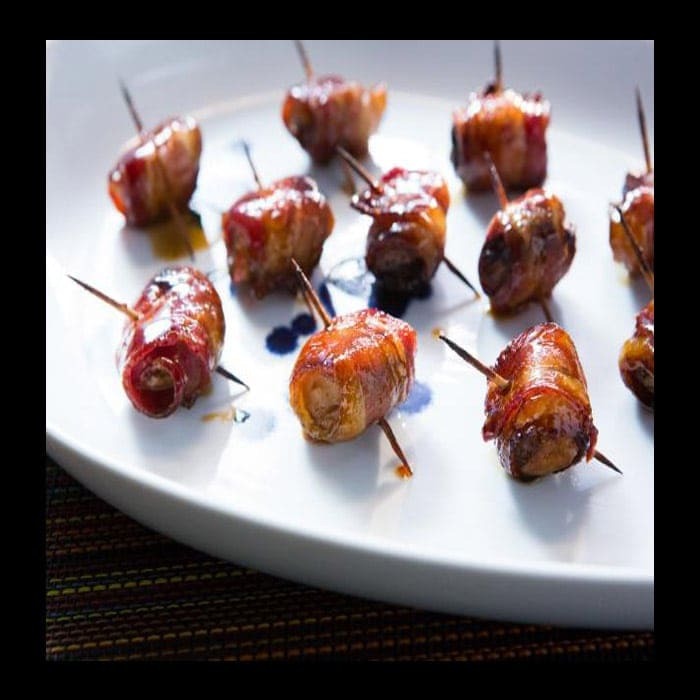 Its ingredients and method of preparation vary, but usually, it consists of water chestnuts and pieces of chicken liver wrapped in bacon and marinated in soy sauce and either ginger or brown sugar. Also popular within the Hawaiian Islands. Before I explain how to make Rumaki let’s talk about ways to prepare and cook the appetizer. If you’re not into chicken livers I have heard of an interesting alternative using watermelon. What, Watermelon? 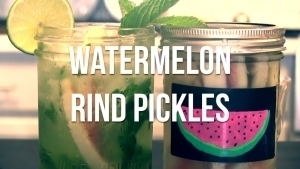 Yes, you can make use of watermelon rinds by making pickles. I’ll tell you if you think that sounds odd I would have to agree, yet I’ve had watermelon pickles before and they are much better than ones made from cucumbers which are what pickles in your refrigerator are made from. 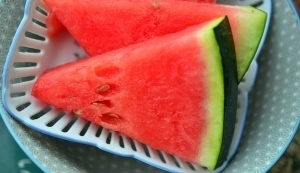 If you want to try making them just remove the very exterior first of the watermelon. Then slice the exposed layer into desired size and place into a jelly jar along with a pickling solution. In the recipe, just replace the chicken livers with the pickled watermelon pickles…Pretty cool foodie food I do have to say. First, clean the chicken livers. I like to cut them in half if they are large and remove anything that doesn’t look just pure protein/meat. Next, place the chicken livers into 1/2 cup of soy sauce, add 2 tbsp of brown sugar, and 1 Tbsp of minced ginger, 1/2 tsp minced garlic and allow the chicken livers to marinade for one hour. Bacon, take one strip of bacon and cut it in half. Try to purchase thin strips of bacon as the cooking timing works better this way. Lay down the half piece of bacon, then add one piece of sliced water chestnut. If you don’t like water chestnuts you could try using daikon radish. Next, add one piece of chicken liver or pickled watermelon. 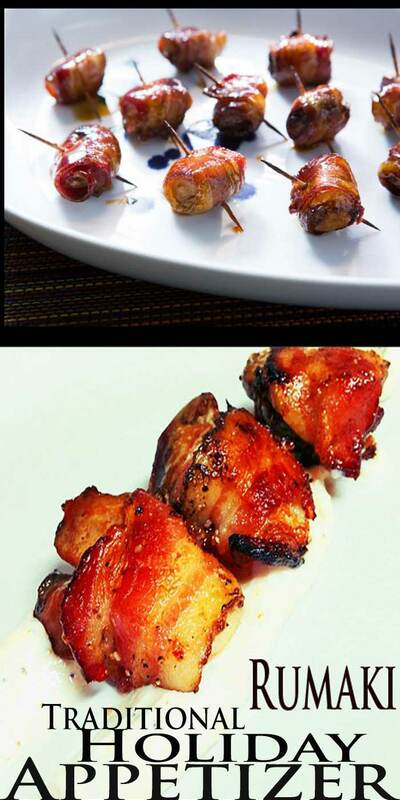 Wrap the bacon over the top and secure with a toothpick. I personally like roasting them in a 400-degree oven for about 20 minutes on a wire rack…This ensures even cooking and a crispy bottom as well. 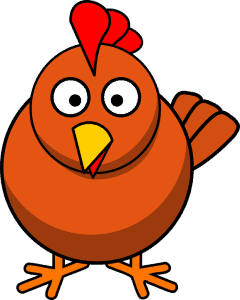 Once they come out of the fryer or oven. 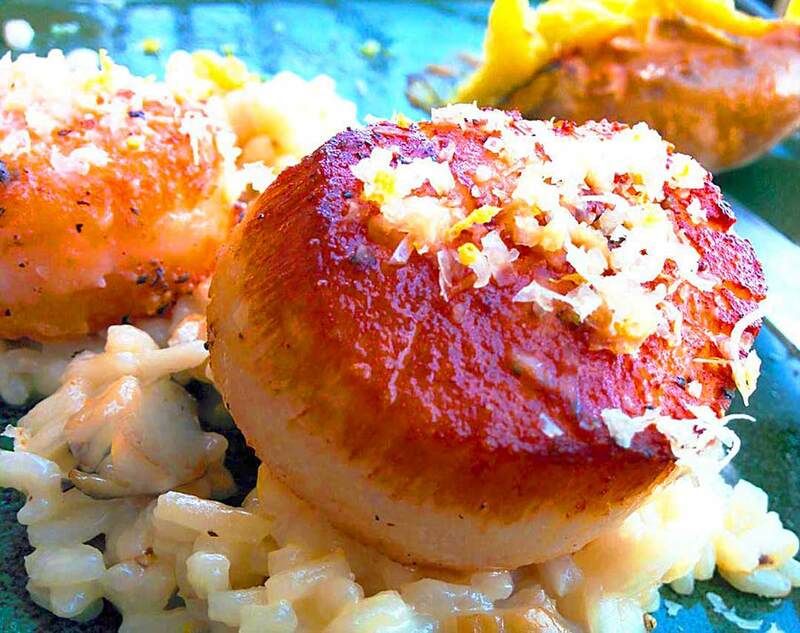 Adding a glaze with a paintbrush can really take this recipe over the top. There you have it you know how to make Rumaki now. Haven’t had these in years Yes, I do love them. Everyone else around here hates them.